5-year-old Indian child Saroo (Sunny Pawar) follows his older brother Guddu into Calcutta in order for Guddu to do some night work. This would be the last time he'd see his brother as the two are separated, with Saroo ending up on a train, travelling for days and taking him thousands of miles away from home. Twenty-Five years later, Saroo (Dev Patel) looks to find his way back home in hopes to find his family. 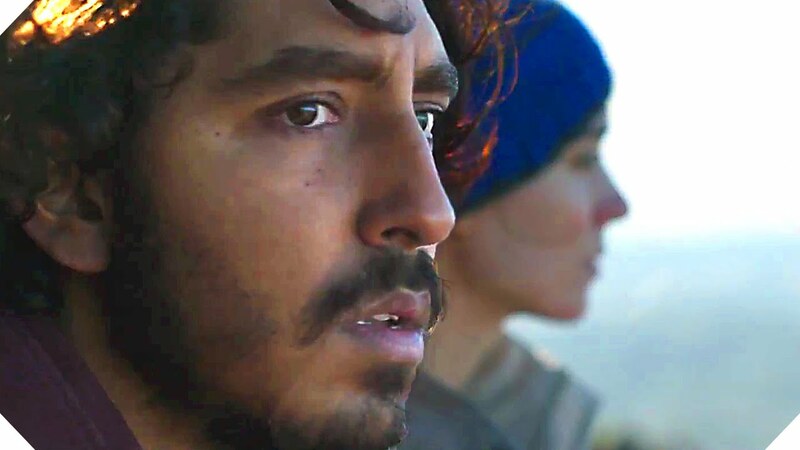 The trailers for this drama would suggest that Dev Patel is on a long and tireless search to be reunited with his family. The reality, though, is that that aspect only takes up about a third of the 2-hour runtime. Instead, the first hour is the story of a young Saroo, played magnificently by young actor Sunny Pawar. Pawar is a cute, innocent little boy who you wouldn't want anything bad happen to as he tries to help out his family in any way possible, despite being at such a young age. Director Garth Davis takes his time building up this young character as he doesn't rush any detail. The story is handled with care as we see how terrifying the streets of India must have been for the young Saroo, with dire conditions and kidnappings at every turn. To some, this may feel very slow but it is important to showcasing just how this event managed to happen. It's not all doom and gloom as we are introduced to Nicole Kidman and David Wenham's characters who adopt young Saroo, practically saving the child. A great side of humanity is shown within the first encounters between Saroo and his new parents, as instant love is showcased very well. Kidman shows her quality as an actress, showing great compassion and care for her adopted children. The second half of the film jumps 25 years ahead to when we see Dev Patel take over as Saroo, preparing to go to university. Patel is fantastic in his role but the second half's story doesn't match the performances or emotional pull. Saroo starts off his semester and meets his classmates including Rooney Mara's Lucy who becomes a love interest. Everything seems to be going great until Saroo notices a food from his past that completely kicks his mind into gear, sending him into a frenzy where all he can think about is that short period of time as a kid. This is the weakest part of the film as the reason doesn't seem to justify the reaction. Saroo now becomes rather self-centred, blocking any form of help from loved ones when it is needed. This most definitely seems to be for added drama but it was fairly far fetched within this true story. It made it clear that you were watching a film rather than natural actions. As Saroo starts to distance himself from his family, he then starts to calculate the distance he travelled that day, using old train records and Google Earth. The search, in fact, is shown to be fairly short but the emotion is kept within. This is where Patel shines as his drive and determination are clearly visible up until he finds out where his family may be. Patel then goes from strength to strength, showing great emotional acting whilst trying to repair relationships with those he has recently distanced himself away from. This creates a fantastic, emotional ending, bringing heart to this humane story. Again, Davis and screenwriter Luke Davis deserve credit for handling this true story very well, getting the most emotion out of it as possible. 'Lion' has ended up with an impressive 6 nominations for the 2017 Oscars. Within those is Greig Fraser for Best Cinematography which is fully deserved. Due to the film being set in India and within Australia, Fraser is able to work with beautiful locations and gets the best out of his shots. Early on, we are treated to glorious images such as a young Saroo looking into a field of Moths, that is one of the best shots of the year. The rest of nominations include a Best Picture nod, as well as nominations for Adapted Screenplay, Original Score and for Best Supporting Actress (Nicole Kidman). However, the most likely winner is indeed Dev Patel for Best Supporting Actor. If Patel fell into the Best Actor he may have had a tougher time but with a weaker category, we may well see the English-born actor win the prize. The nominations show that 'Lion' is a well-made film. Whether it takes home most of these awards is probably unlikely but that is no harsh criticism on this film. 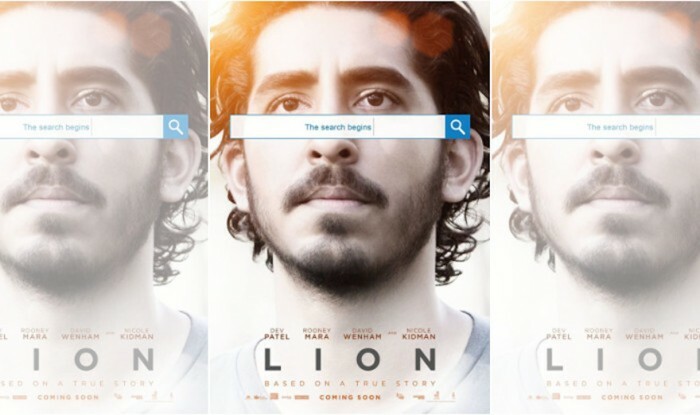 So have you seen 'Lion'? If so, what did you think of the film? I hope that this review was useful for if you were planning on seeing the film. Once again, thank you for taking the time to read my review, it is much appreciated!